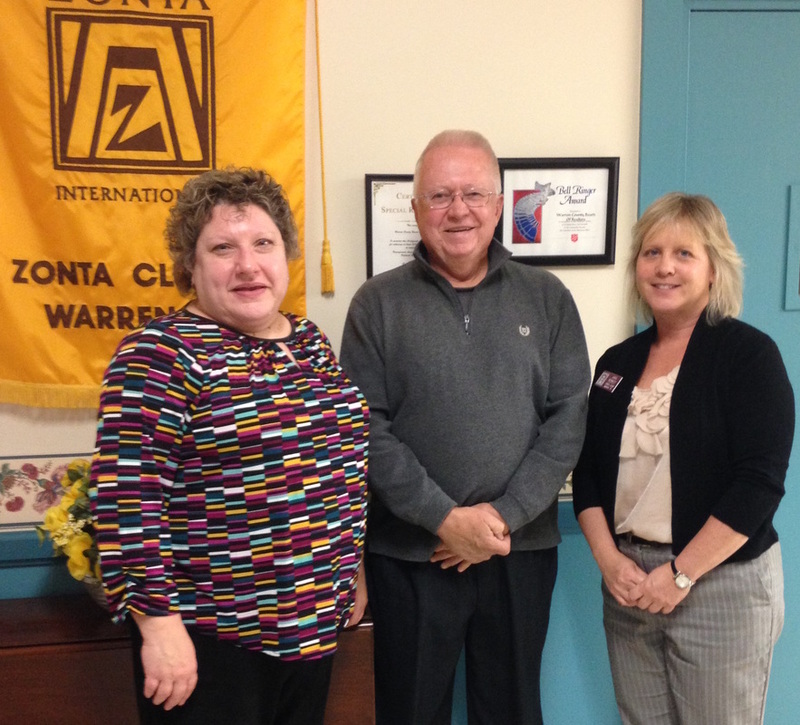 Zonta Club of Warren met at the Jefferson Defrees Center Thursday, Oct. 13. Members were pleased to welcome Terry Pearson. Terry is the founder of Hooktown Holidays. The mission of Hooktown Holidays is; To provide nutritious food, warm clothing, and other necessities of life for the children of Warren County and families in need. Terry and his wife began this mission by donating small amounts of money throughout the year and included their friends and neighbors. At the end of year one, they raised $5,000. The funds go to area agencies that meet their mission statement. In 2014, the Backpack Program and more recently the Second Harvest Food Bank have been recipients of funds. Since the inception of Hooktown Holidays, over sixty thousand dollars have been given back to the community. You can learn more about Hooktown Holidays from their website, www.hooktownholidays.org. Pictured are Program Chair Jean Denardi, Terry Pearson, and Membership Chair Janis Bennett.